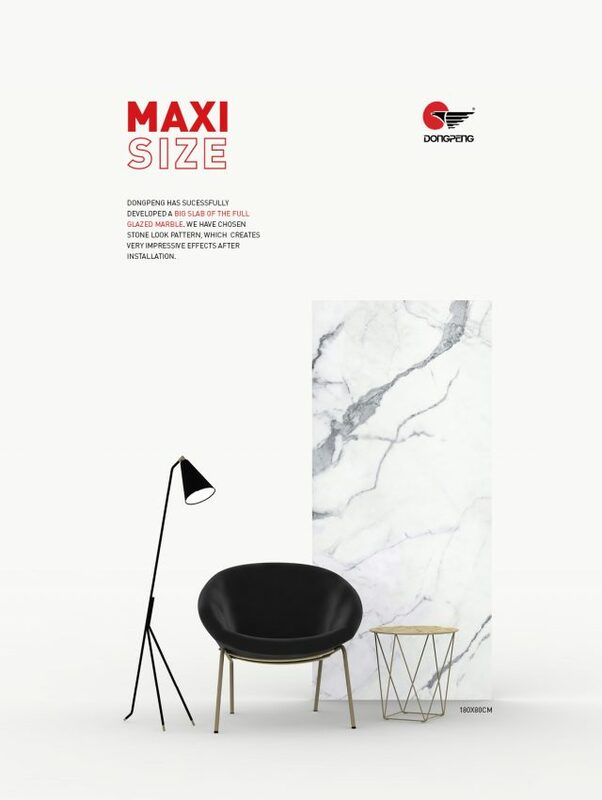 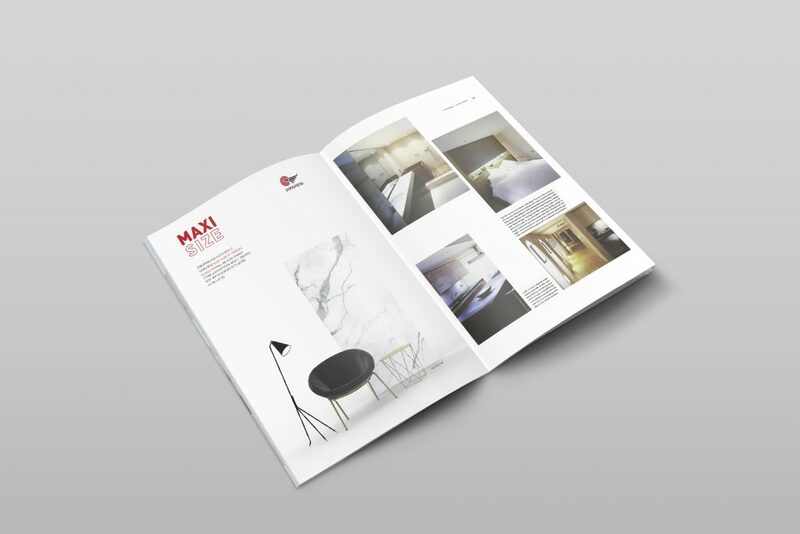 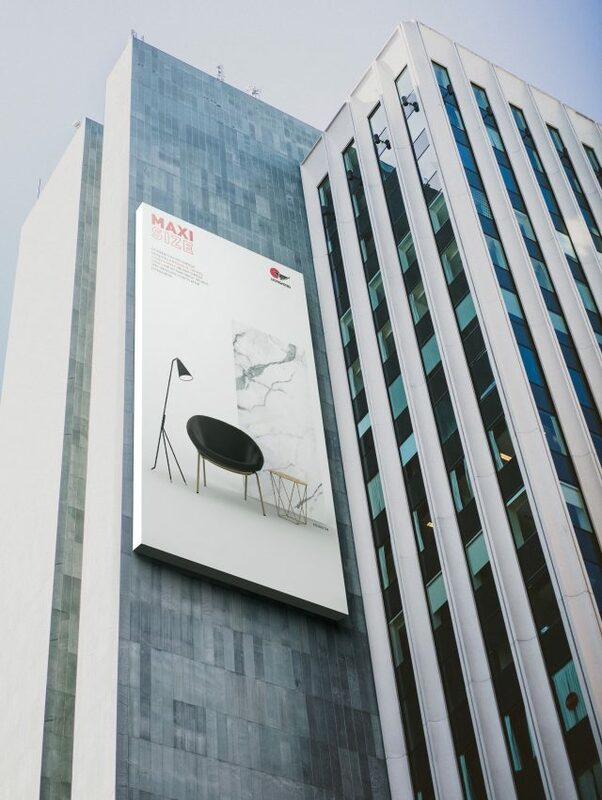 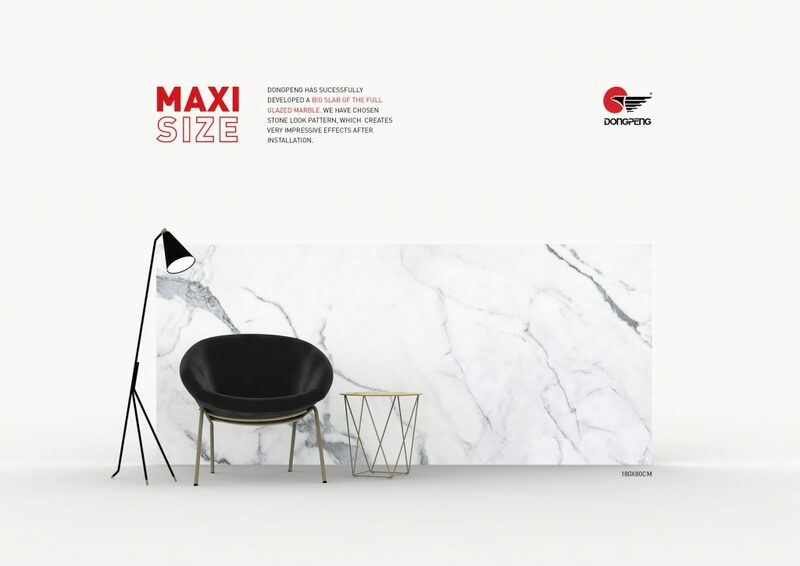 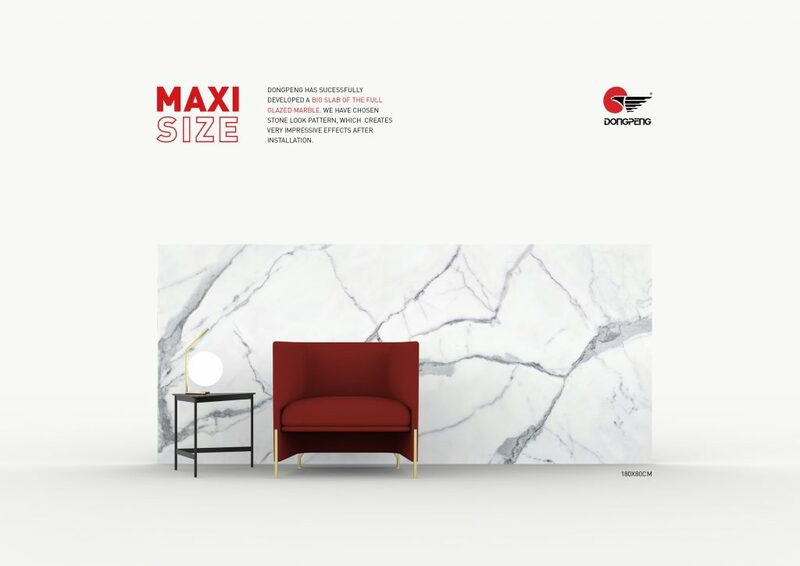 Thanks to the ultimate technology, Dongpeng has successfully developed a new product: a big slab of glazed marble with an exceptional 180x80cm size that make it a really impressive product in the ceramic sector. 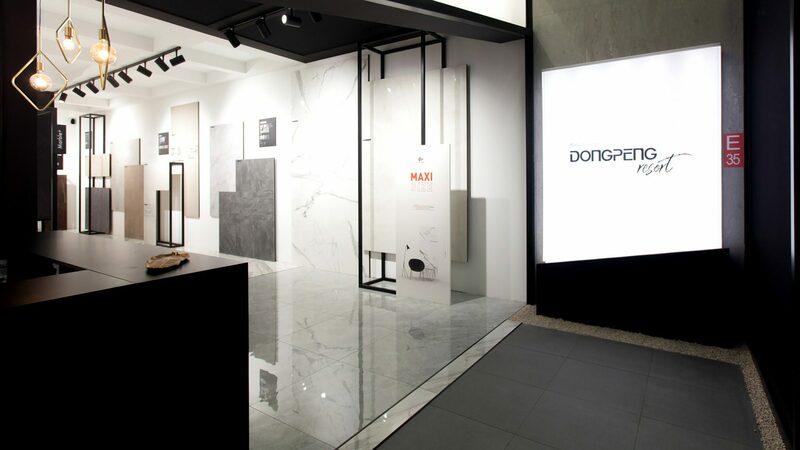 For the launching of this new Dongpeng’s product we manage a promotional campaign with the aim of communicating in a direct and visual way the main feature of the glazed marble tiles: its size, its maxisize. 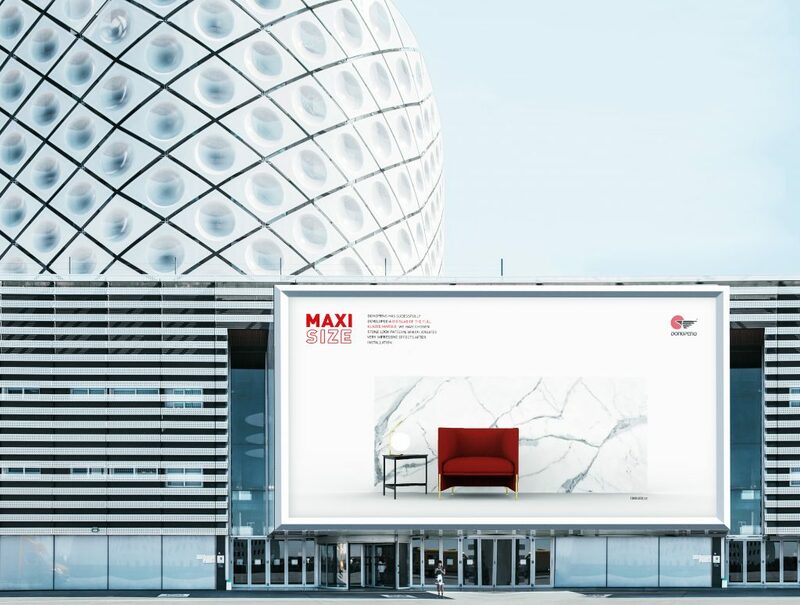 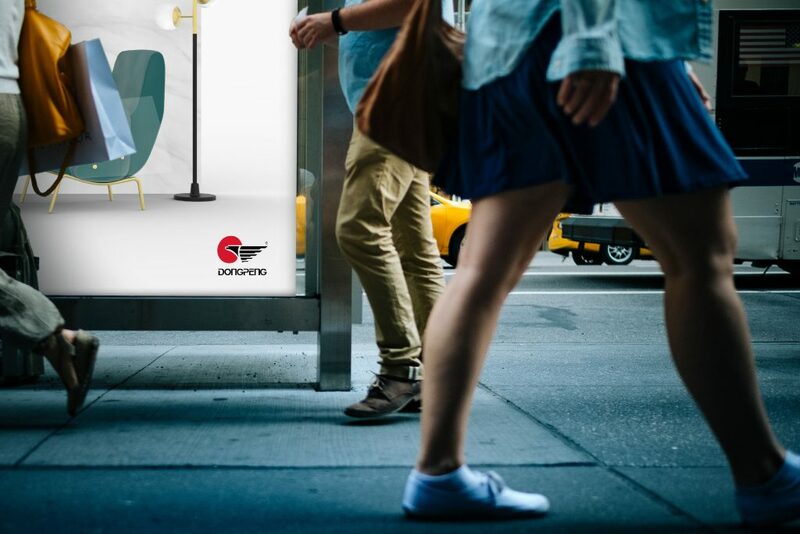 That’s why we designed for “Maxisize” campaign 4 photorealistic renders. 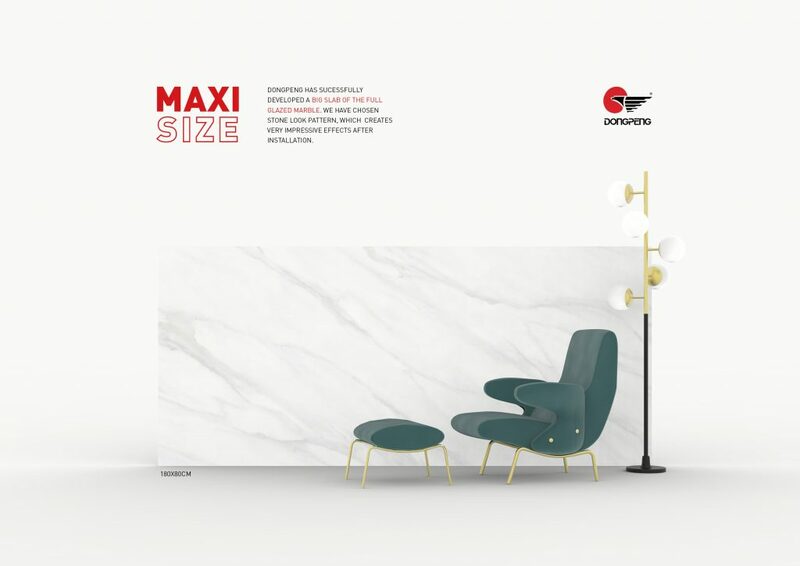 We simulated 4 scenes where one 180 x 80cm tile is placed next to different elements to realise at first glance the big size of the piece compared with real furniture and decoration accessories.